Have you ever wondered how gas leak detection works and what tools are used? Gas lines, valves and regulators have to be properly maintained and periodically inspected with sophisticated gas leak equipment. It is essential to have a natural gas leak expert do a complete survey so you don’t waste time and money. Below are some details on what a comprehensive gas survey should include. Certified and Trained SurveyorsYou should hire a technician that is qualified to do a comprehensive gas leak survey. Hiring a team with expertise in gas detection will give you clear, comprehensive, and accurate findings that you can can rely on. MBS Engineering surveyors are trained and certified through Heath Consultants USA and use Department of Transportation standards for performing gas leak surveys for all properties. 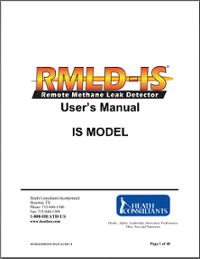 The Remote Methane Leak Detector (RMLD) is a sophisticated, portable methane leak detector that locates underground pipeline leaks as well as above ground fugitive sources. It is a laser-based natural gas (methane) detector that can quickly and efficiently detect leaks up to one hundred feet away, enabling remote detection of difficult to access places. 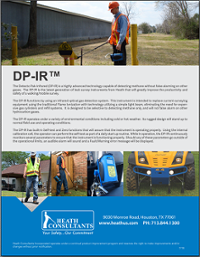 A device called DP-IR (Detecto Pak-Infrared) classifies and measures gas leaks. Your natural gas leak expert should use American Gas Association Standards to determine the classification, or severity, of the leak. 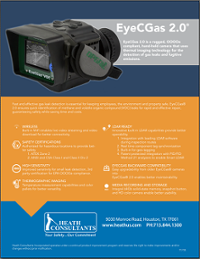 To confirm a gas leak, your surveyor should use an EyeCGas to take a picture of the suspected leak. This hand-held camera uses thermal imaging technology to detect gas leaks and fugitive emissions.